Meatloaf is versatile. 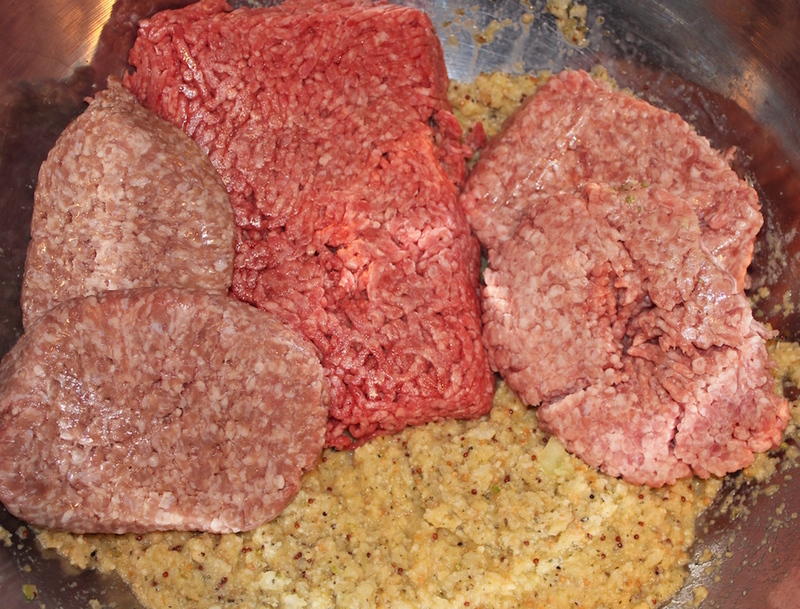 Use ground meat or poultry and simply change up the herbs and spices or add in some vegetables and you create an entirely different flavor profile. 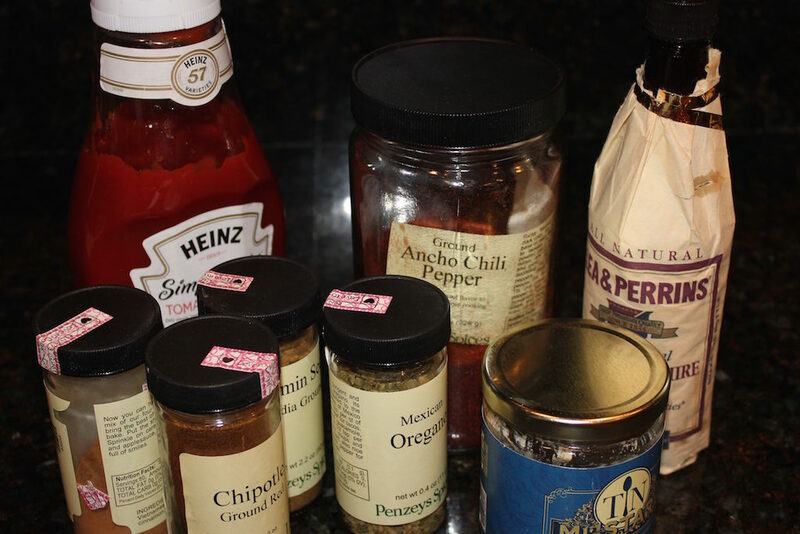 Try this recipe for Meatloaf with Spicy Ketchup. 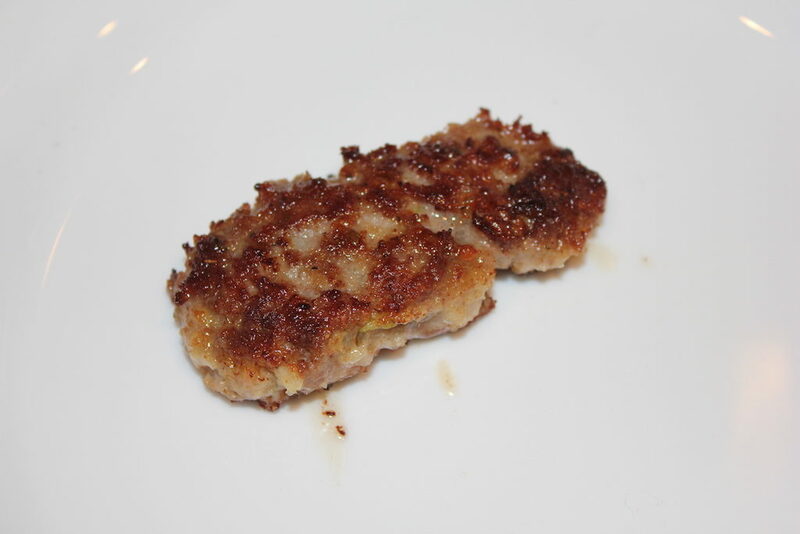 Bread crumbs, originally used as a filler when meat was rationed during WWII or to stretch a meat dish on a limited budget, are still worth adding in a small amount because they absorb juices during cooking and keep the meatloaf moist. Meatloaf can take many forms. 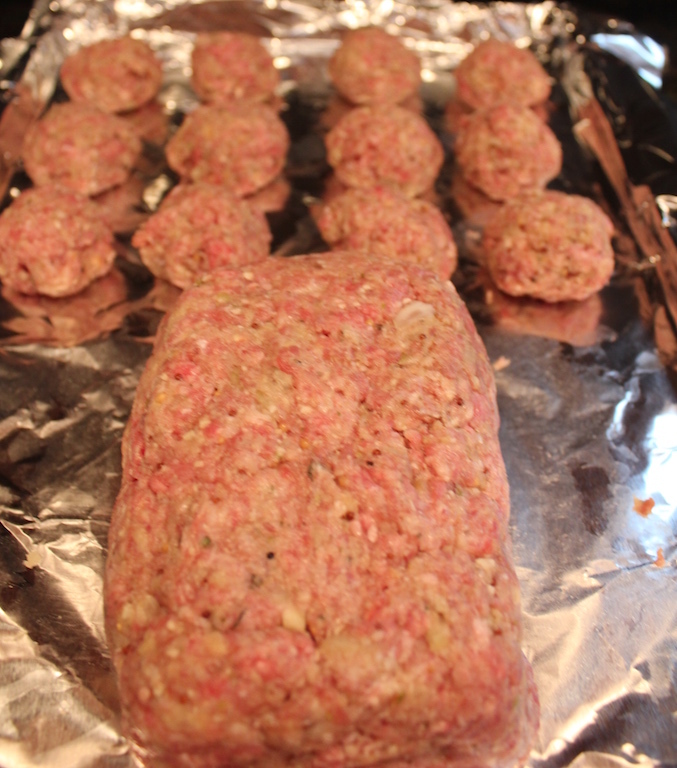 Free form, stuffed into a loaf pan, individual mini meatloafs; or make meatballs. Mini meatballs are great hors d’oeuvres, serve with a dipping sauce. The possibilities are endless. I like to make individual free-form meatloaves, which get a nice crust on the top and the sides. 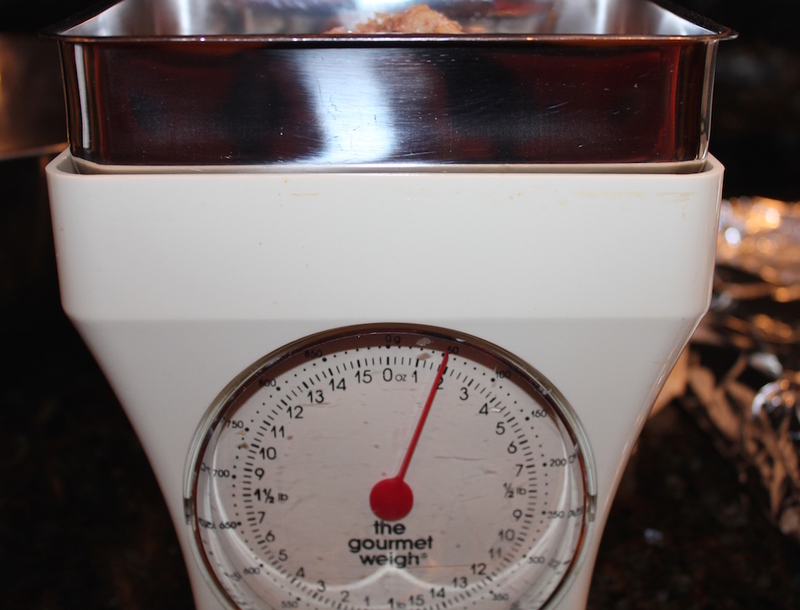 I use a scale, an inexpensive one with a needle dial that is more than sufficient. 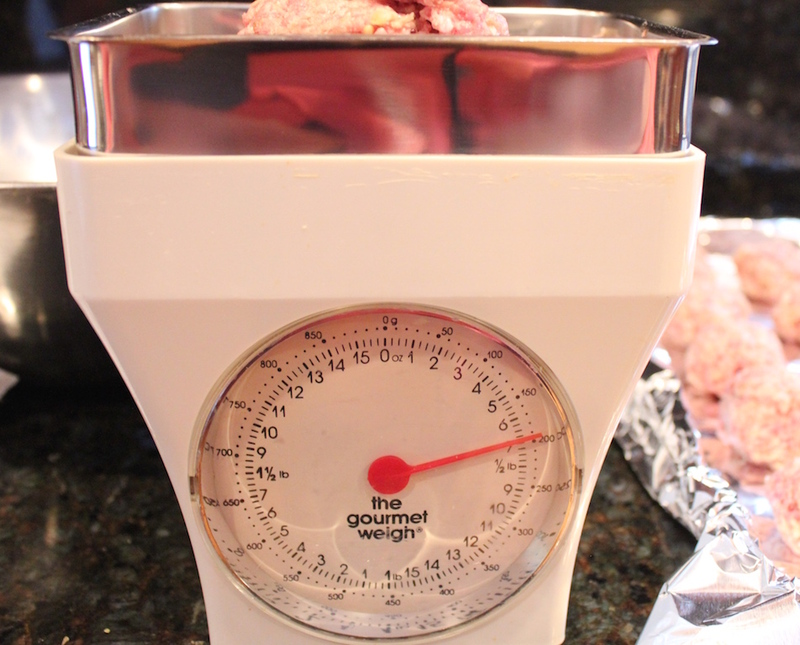 Weighing and shaping each meatloaf ensures they cook evenly and everyone gets the same portion size. 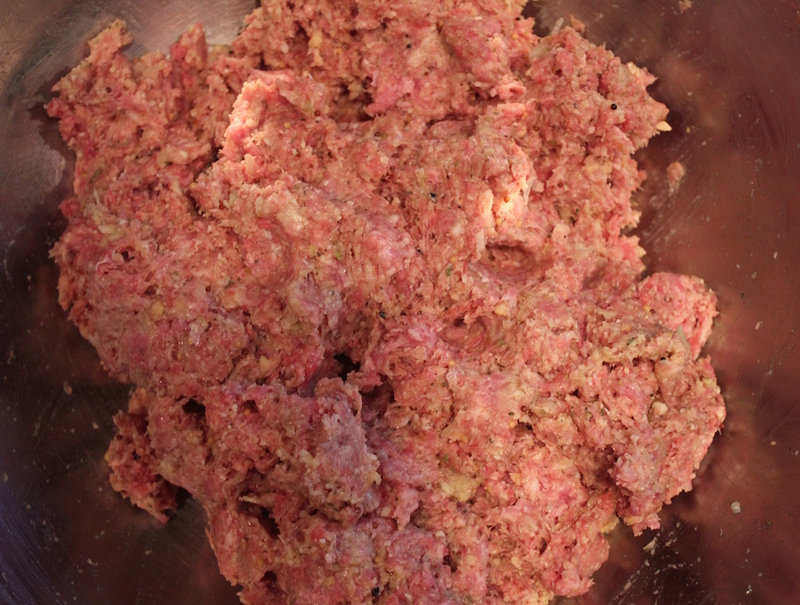 Meatloaf and meatballs freeze well. Place on a tray and put in the freezer. Once frozen, wrap tightly and return to the freezer. 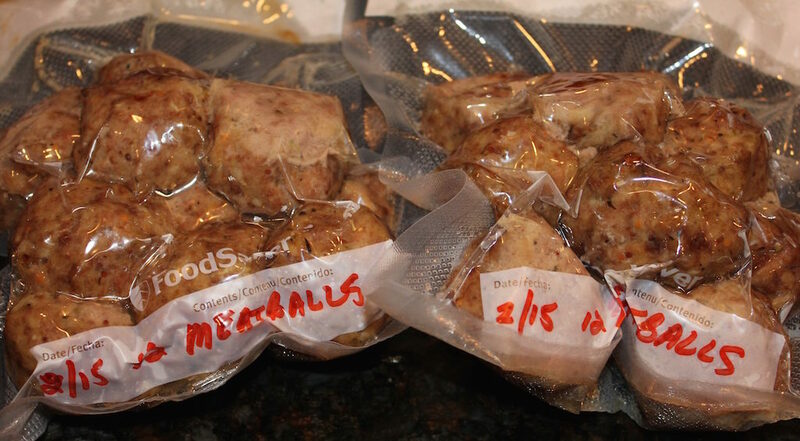 Don’t thaw before using, cook the meatloaf frozen and add the frozen meatballs to a sauce. 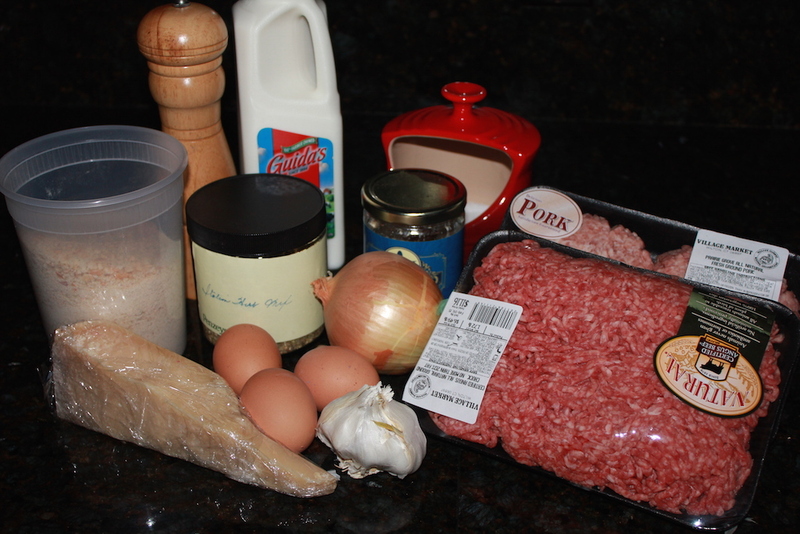 This is a basic recipe, which yields five and one-half pounds of the mixture. This can be made into 11 seven-ounce mini meatloafs, 40 two-ounce meatballs, one or two large meatloafs, or a combination. 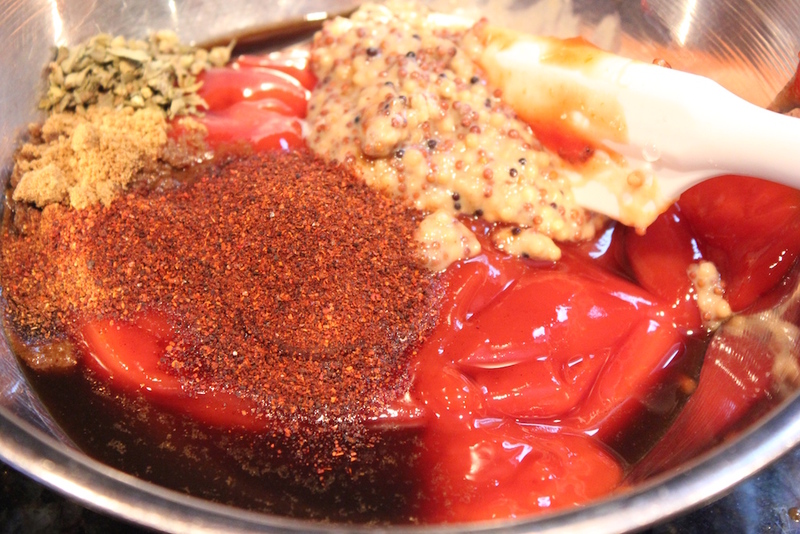 I’ve also included a spicy ketchup sauce for glazing the meatloaf during the last ten minutes. Whisk together the ketchup, mustard, Worcestershire sauce, ancho chili powder, cumin, coriander, oregano and chipotle powder. Try this with a hot Dijon mustard, such as Inglehoffer, for an extra kick. 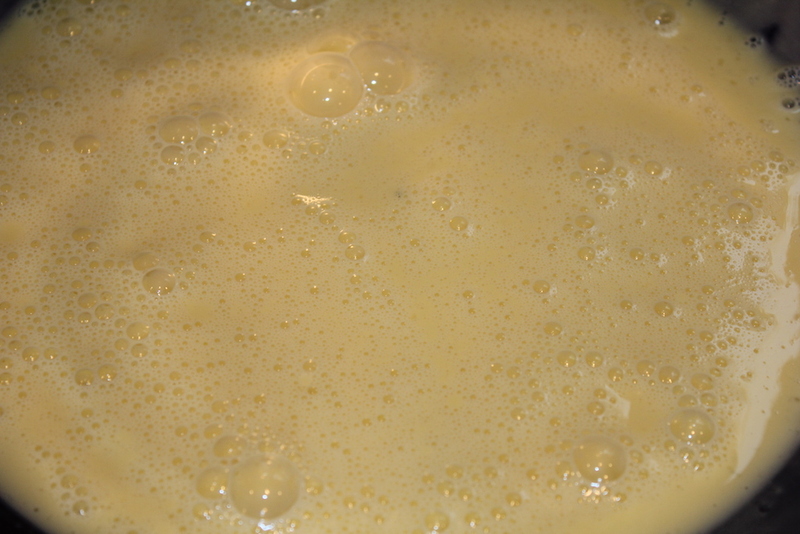 Crack the eggs into a large mixing bowl, add the milk and beat until frothy. 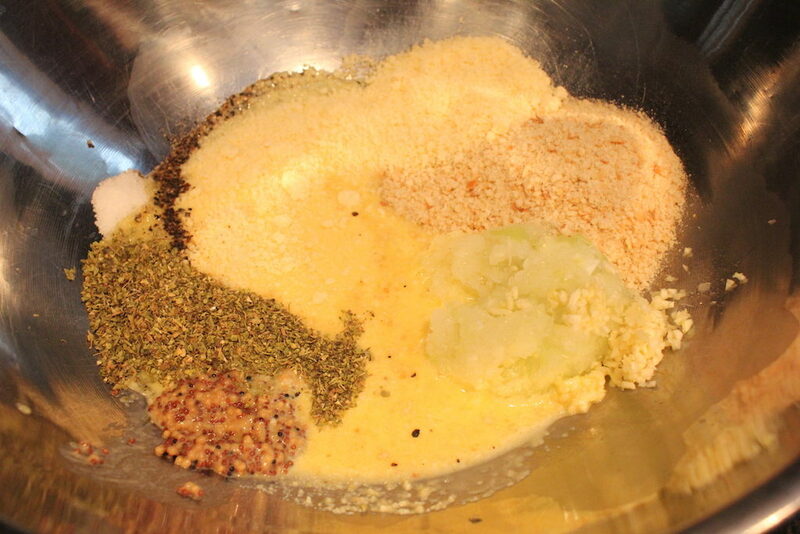 Stir in the breadcrumbs, onion, cheese, mustard, herb seasoning, garlic, salt and pepper. Add the meat to the bowl. 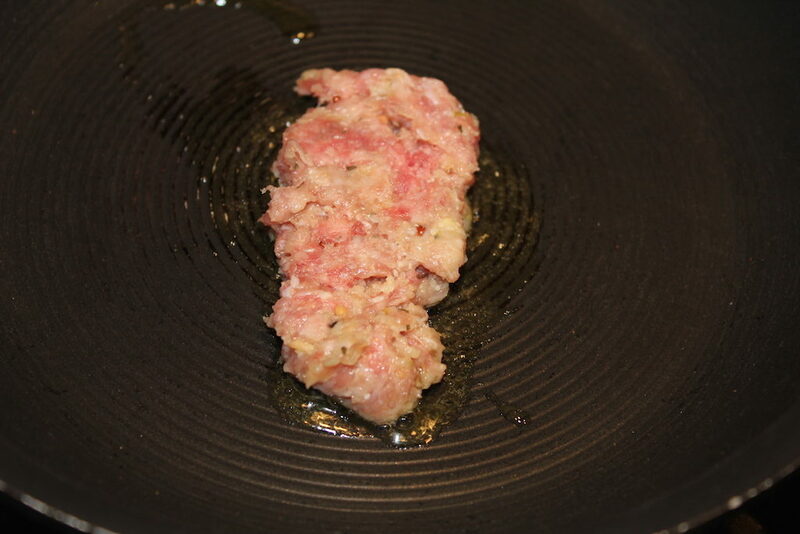 Knead the breadcrumb mixture and meat together until thoroughly combined. At this point, I take a spoonful and panfry it to check on seasonings an important step in recipe development and an easy place to make adjustments. Place on the lined baking tray and bake. These pictures are to show you the various shapes. Don’t cook on together! The optimum internal temperature for a cooked meatloaf or meatballs is 165 degrees F.
Remove the meatloaf 10 minutes before the end cooking time, around 155 degrees F internal temperature, and generously brush the spicy ketchup over the top and sides. Rest the meatloaf 10 minutes before slicing to allow the meat to set. Meatloaf can take many forms. Free form, stuffed into a loaf pan, individual mini meatloafs; or meatballs. Mini meatballs are great hors d’oeuvres, serve with a tasty dipping sauce. Whisk together the ketchup, mustard, Worcestershire sauce, ancho chili powder, cumin, coriander, oregano and chipotle powder. Add the meat to the bowl and knead together until thoroughly combined. Place on a baking tray bake in preheated oven. Rest for 10 minutes before slicing. This allows the meat to set. The optimum internal temperature is 165 degrees F.
Remove the meatloaf 10 minutes prior to the end cooking time, about 155 degrees F internal temperature, and generously glaze top and sides and cook for another 10 minutes.